A medium wash and length denim skirt by Angel Maternity. It is in very good gently preloved condition. The skirt has a wide soft stretchy knit waistband for extra comfort. There is soft whiskering on the front. The skirt has front and back pockets. 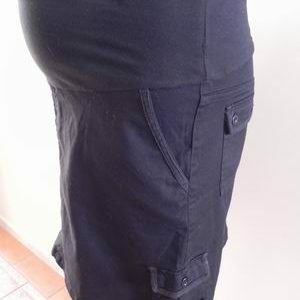 Be the first to review “Mid Length Denim Maternity Skirt” Click here to cancel reply.